With a catalog of over 1,000 songs, Cliff writes with and for artists across multiple genres, has written a #1 single on the jazz charts and has his songs featured in major movie releases and national advertising campaigns. GRAMMY-nominated jazz vocalist referring to “Only Smoke,” Cliff’s co-write with composer, Larry Goldings. Listen to the original demo below. Cliff’s songs have been cut by artists in genres as diverse as country, pop, jazz and classical crossover. Click below to hear jazz artist, Spencer Day sing his co-write with Cliff, entitled “Till You Come to Me.” This song went to #1 on the jazz charts." Till You Come To Me An html5-capable browser is required to play this audio. 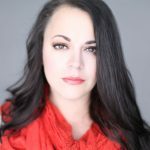 Click below to hear Americana artist, Mindy Smith, sing her co-write with Cliff’s entitled “Between Us.” This song is not yet officially released." Between Us An html5-capable browser is required to play this audio. 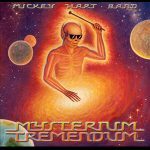 Click below to hear Grateful Dead drummer, Mickey Hart, performing “Cut The Deck,” his co-write with Cliff & Robert Hunter." Cut The Deck An html5-capable browser is required to play this audio. 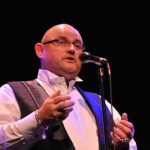 Click below to hear Cliff’s co-write with Jeff Cohen, “The Light Inside of You,” performed by Irish tenor Ronan Tynan with London’s Royal Philharmonic." The Light Inside of You An html5-capable browser is required to play this audio. 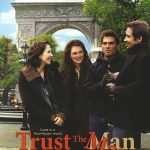 Click below to hear “Table for Two,” Cliff’s co-write with Jeff Cohen and the artist, Heather Rigdon, which appears in the feature film, “Trust the Man” starring Julianne Moore and David Duchovny." Table for Two An html5-capable browser is required to play this audio. Click below to hear “Christmas With You,” Cliff’s co-write with Joel Evans which appears in the major motion picture “Sleeping With Other People” starring Jason Sudeikis, Adam Scott & Amanda Peet." Christmas With You An html5-capable browser is required to play this audio. 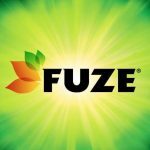 Click below to see the Fuze Beverage national cinema spot using Cliff’s co-write with Juan Patino." You An html5-capable browser is required to play this audio. Coco Chanel An html5-capable browser is required to play this audio. She Gets Me An html5-capable browser is required to play this audio. Five Dollar Umbrella An html5-capable browser is required to play this audio. Story of Love An html5-capable browser is required to play this audio. Set Me Free An html5-capable browser is required to play this audio. "Pretty Good Waste of Time"
Pretty Good Waste of Time An html5-capable browser is required to play this audio. Gone Dreaming An html5-capable browser is required to play this audio. "The Man I Used to Be"
The Man I Used to Be An html5-capable browser is required to play this audio. "Come Spend Christmas with Me"
Come Spend Christmas with Me An html5-capable browser is required to play this audio. with S. Day & M. Burrows"
Something Wicked This Way Comes An html5-capable browser is required to play this audio. Good To Be Queen An html5-capable browser is required to play this audio.